Matt Deggs has come full circle in the game of life. HUNTSVILLE, Texas — Families around the country will convene this week to give thanks. Some will enjoy the turkey, stuffing and whatever else can fancy the palate. Others will enjoy the fellowship with family and friends. And others, such as Sam Houston State coach Matt Deggs, will be thankful to just be here with a family and career at all. You see, Deggs, the 46-year-old Bearkats skipper, has many reasons to give thanks. 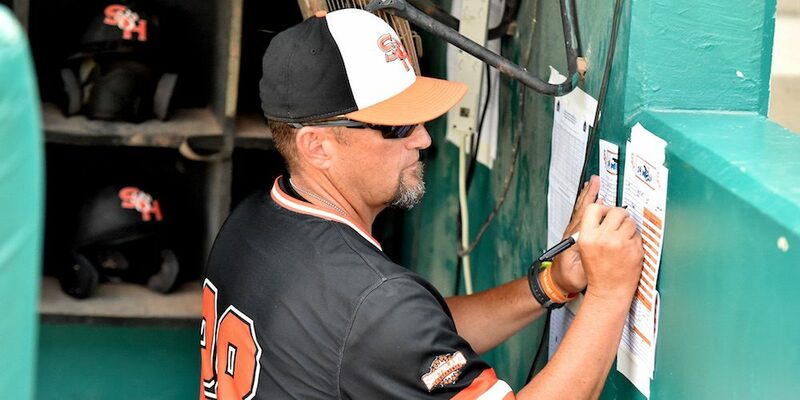 The college baseball community, before now, knew Deggs as the Bearkats head coach who made headlines because of his passionate speech after getting eliminated by Florida State in the Tallahassee Super Regional this past season. What you saw from Deggs and his players in that press conference were raw emotions. While complimenting his team’s season and some of their key leaders, he also used the moment to reflect back on what the season meant to him, and more. He talked about the time he was fired by one of his best friends in Texas A&M head coach Rob Childress. He also went on to talk about how his players and others before them had truly saved his life. In most instances, we would all shrug and assume those words were quite an exaggeration. But in Deggs’s case, he wasn’t exaggerating. Those words were real. They were refreshingly honest, and they began to shed some light into a sketchy past – one that caused Deggs to evolve from one of the most heralded assistants in college baseball to a pair of hands loading feed trailers for minimal money 20 miles outside of College Station, Texas. If you ever feel like you’re at the bottom of bottoms in life, there’s always a way out. Just ask Matt Deggs how he went from 15 to 28. Matt Deggs had always been the number 15. He admits that absolutely no one would’ve taken that number from him in his distant, roughneck past. You know, a distant past where he thought he had everything he wanted in life. Deggs was living the life at A&M, or so we thought. He headed to College Station as one of the hottest assistants in the game after spending time at Arkansas. He climbed to associate head coach status with the Aggies. In essence, he was well on his way to becoming a head coach in a premier conference. But behind closed doors, things were anything but great in Matt’s life. His pack mentality with offenses and hard-nosed approach made him a fan favorite during his time at A&M, but off the field, everything came to a screeching halt in January 2011. While most of us knew Deggs as a successful coach and rising star in the coaching industry, his life off the field had become all about the bottle. The beer bottle. As with many Americans at times in their lives, Deggs went sideways from a personal standpoint when everything from a business perspective couldn’t have been better. He allowed the demons tempting him to control his life and essentially derail his coaching career … at least for the time being. He was an alcoholic, and Childress, despite being one of his best friends, had no choice but to fire Deggs that January. It wasn’t an easy choice. It was the last thing Childress wanted to do. Lord knows he didn’t want to lose Deggs as a coach. But he didn’t have a choice. He had to save his friend, and he had to save the Deggs family by basically forcing Matt out of A&M. Deggs was no longer a rising star. He’d turned into an afterthought riddled with sin. “I was fired because I was a drunk. I couldn’t put a bottle down. I was living as an enemy of the cross. I still tell people all the time that Rob didn’t fire me. I fired me. He’s still one of my best friends,” Deggs said in his office in Huntsville, Texas, this fall. “At the time, I didn’t understand it. Honestly, it took me years to understand it. You go through the five stages of grief when something like that happens. Mine hit at the same time – anger, depression, grief, all the things that come with it. It was like I had lost a loved one. Deggs missed quite a season for the Aggies because of his personal failures. A&M went 47-22 overall and reached the College World Series for the first time since 1999 that year. He wasn’t with the program. He had to find other ways to support his family. Looking for any way possible to support his family as an “unemployable” coach, Deggs did something he couldn’t have dreamt seeing himself doing a few months earlier. He was working at a feed mill 20 miles outside of College Station helping load trailers. His salary? Nine dollars an hour. He was making well north of $150K as an assistant for the Aggies. Deggs appeared to be broken beyond repair throughout 2011. But he wasn’t done. He got a second chance. All this even after being out of the game for 430 days. Despite working at the feed mill outside of College Station for some time, Deggs eventually moved on in the business world. He’d gravitated toward a pharmaceutical sales position. It wasn’t in his wheelhouse at all. As a matter of fact, the 46-year-old told me he was a lousy pharmaceutical salesman. But he didn’t need to do sales much longer. He got lucky, really lucky. It was almost like a calling. 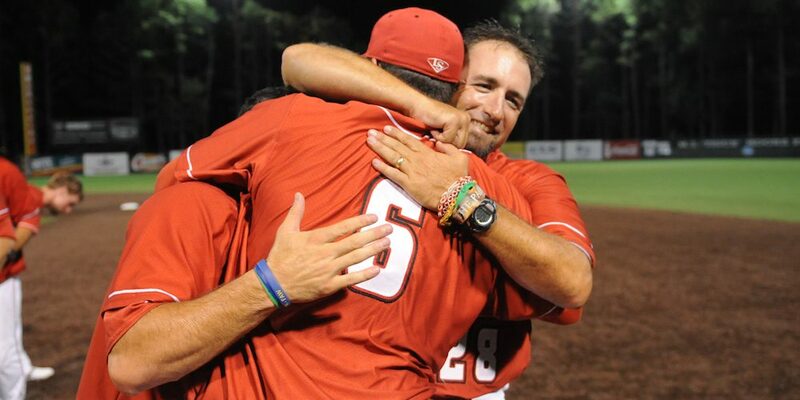 As UL Lafayette had just begun the 2012 season, Deggs received a phone call from friend and now Cajuns hitting coach Jeremy Talbot. 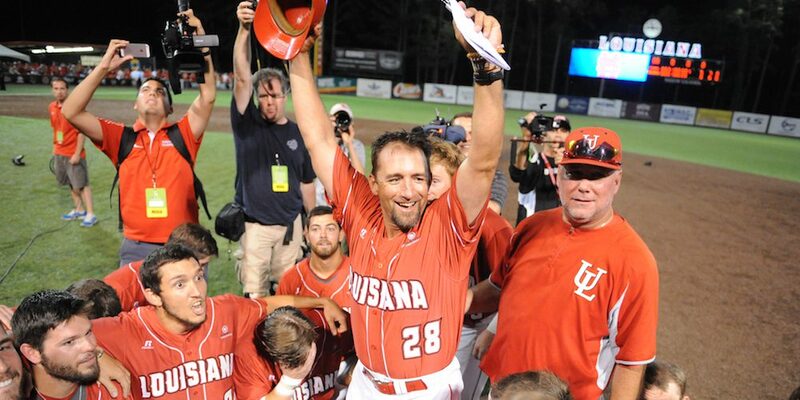 The Cajuns had an opening, and it was the hitting coach position. Mike Trahan left his post with the program in early March, right in the middle of the season, and the Cajuns needed a replacement as soon as possible. Talbot called UL coach Tony Robichaux and informed him of Deggs’ interest. The good news for Deggs? 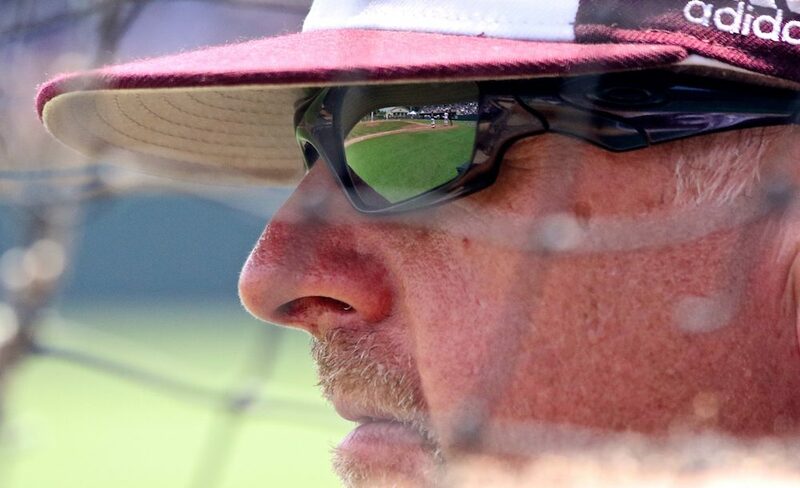 Robichaux had remembered the talented hitting coach from his time at A&M. After all, the Aggies double-dipped the Cajuns in a regional a few years earlier to advance to the super regional round. Robichaux knew what Deggs could bring to the table. Deggs and Robichaux met in San Marcos, Texas, as the Cajuns were in town to face Texas State, and he was extended a job offer. It wasn’t the well over $150K the Aggies were paying Deggs. It was $42,500. Deggs didn’t care. It was his second chance. Deggs was back in the game, but didn’t have his usual number with the Cajuns. The number 15 had already been taken and 28 was the only number available. So, 28 it was. The Cajuns went on to finish the 2012 campaign with a 23-30 overall record, but the Deggs effect would show itself in a big way beginning in 2013. Not only did the Cajuns finish the regular season with a solid 19-11 conference mark, they made the NCAA postseason and tallied an impressive 43-20 overall record. That season was one Deggs will remember for the rest of his life for other reasons, too. He quit drinking on February 28, 2013. The battle had been won. “I went to Lafayette in the middle of the season in 2012, but I didn’t officially stop drinking until Feb. 28, 2013. The final straw for me was looking at those players. I couldn’t stop drinking for me, I couldn’t stop drinking for my family, and I couldn’t stop drinking for God,” he said. “But when I looked at the absolute brokenness on that team, and saw how hard they worked and how much they loved each other, it changed me. I looked at them one day and said to myself “never again, I’m never going to let these guys down”, and to this day, that has driven me. A year later, Deggs helped the Cajuns assemble one of the most prolific offenses in college baseball history. It was a unit that I loved to call “college baseball’s controlled chaos”. Yes, the Cajuns fell just short of a trip to Omaha after a heartbreaking super regional series loss to Ole Miss, but the statement was made. The 2014 Cajuns went an astonishing 58-10 and everyone took notice. One of those schools was Sam Houston State. Sam Houston State had an excellent track record hiring head coaches. The Bearkats hired legendary former Texas A&M coach Mark Johnson when he and the Aggies parted ways. Johnson helped get the SHSU program back on track. The Bearkats then hired David Pierce, now the Texas head coach, who turned the program into a postseason mainstay. When Pierce took the Tulane job (before Texas), the Bearkats wanted to make yet another statement by hiring another top-flight assistant. After 2014, perhaps no assistant’s stock was higher than Deggs. But there was some risk involved. Despite being sober, Deggs had a checkered past. Were the Bearkats willing to take that risk? They were. Deggs has now been at Sam Houston State for three seasons, and to no surprise, he’s making big waves. The Kats only won 31 games in 2015, but went 42-22 with an NCAA postseason berth in 2016. This past season, Sam Houston made a sizable statement on the national stage by knocking national seed Texas Tech out of the postseason, winning the Lubbock Regional and facing Florida State in the Tallahassee Super Regional, where they fell just short of a run to Omaha. 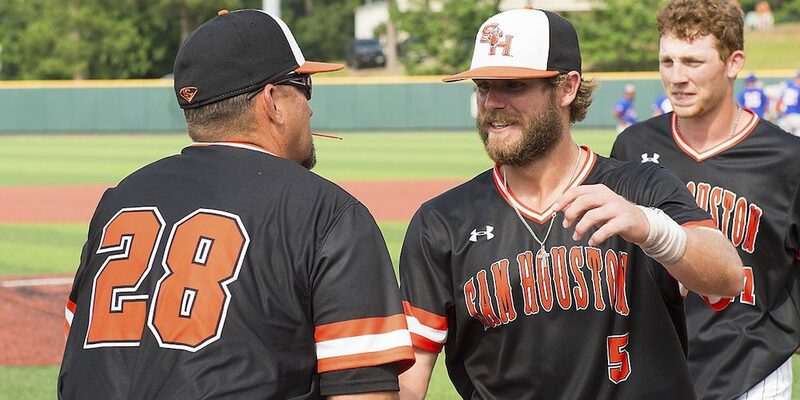 In the minutes following SHSU’s elimination at the hands of the Seminoles, Deggs had a moment that’ll forever be “the” moment for him in the eyes of the college baseball community. Reporters asked Deggs to size up what the historic season and players meant to him. He proceeded to spend two minutes, 16 seconds making everyone in our game a fan of his. His passionate testimony was picked up by not only us, but every other national sports outlet – even those who never cover the sport. He was an overnight social media sensation, or as those of the hip culture say, he went viral. “No, I really didn’t,” Deggs joked when asked if he saw his social media celebrity status coming. “It was all over the world, though. I’ve had thousands of people all over the world reach out to me. I had a Delta Force member call me, I’ve had Secret Service members contact me, Admirals, Generals, you name it. Deggs has parlayed that press conference into a traveling testimony. In addition to speaking at churches around the State of Texas, he had nine speeches in September at various companies around the country – a few at Fortune 500 companies. He has more scheduled, around nine a month to be exact, and it’s certainly a grueling process to balance his family life, coaching life and now, his rigorous speaking schedule. But he insists on doing so, especially if he can help just one person turn their life around. Deggs considers himself as once helpless, but now redeemed. And others need to hear that same message. Some might want to move on and simply forget who they used to be. Deggs embraces it. He loves talking about it. As I walked into his office after one of SHSU’s fall scrimmages to interview him about his team and this story, I couldn’t help but to notice hanging on the wall in front of his desk were two jerseys – No. 15 Texas A&M on the left, no. 28 UL Lafayette on the right. He sees those jerseys every time he sits down at his desk. It’s a reminder of the absolute worst and the absolute best in his life. It’s the story of how 15 became 28.